« Stir Up Saturday – Look! Almost Nothing! 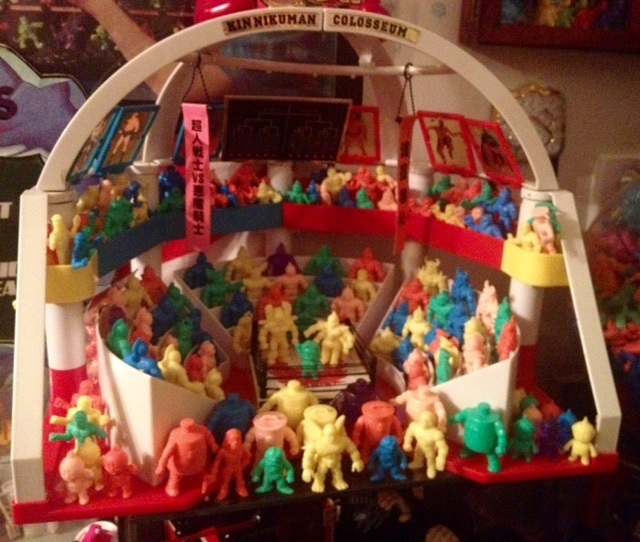 This week I’m finally going to talk about one of my absolute favorite pieces of Kinnikuman history, and a piece in my collection that I genuinely love, the Kinniku Colosseum! It’s been on my mind to do this as a MMMM story for quite a while. I’ve put it off over and over again due to the difficult nature of getting decent photos of it as well as the box being difficult to access. I finally bit the bullet and took some photos. I apologize if they are not perfect. 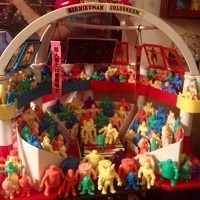 The Kinniku Colosseum – what a splendid piece of an accessory this is! 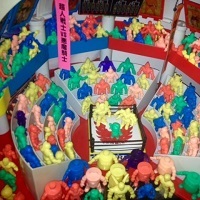 It fits about 80-100 figures in its grandstands (depending on how tight you pack the crowd in) and really looks spectacular when filled; all figures looking towards the wrestling ring where the match is being held. 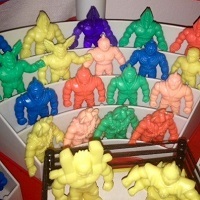 This is what I envision when I think of the M.U.S.C.L.E. 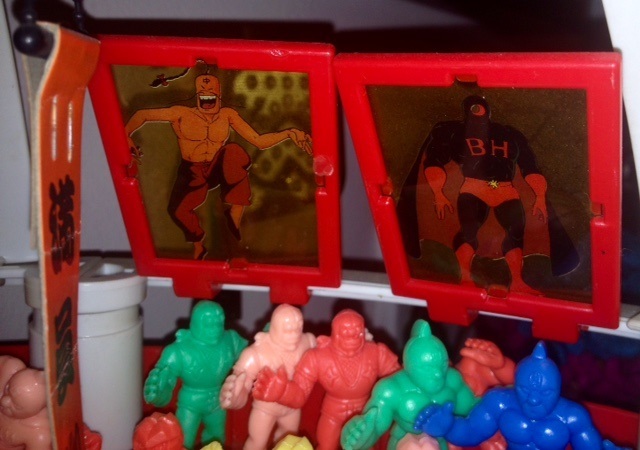 Hard Knockin’ Rockin’ Ring and wish that somehow, Mattel combined the two pieces into one Super Wrestling Ring. Aaah…what could have been. What sets this piece apart are the extra pieces added to the Kinniku Colosseum. The artwork of having poster like characters of the more known fighters hanging from the rafters in full color is an awesome addition, as is the banners in Japanese hanging from the ceiling and the competition bracket. It adds to the wrestling arena experience. The ring itself is a bit plain though it does spin 360-degrees, for what purpose I do not know. 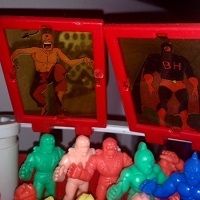 Mine came boxed but in a heap of pieces that had to be assembled. 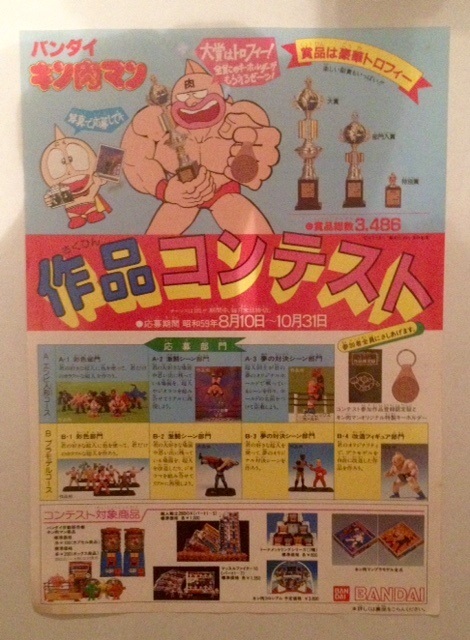 Luckily my box contained the instruction card – in Japanese of course but with some pictures so I could assemble it. The box itself isn’t in perfect condition but it still has nice color on the artwork. I would love to know what the Japanese on it says though – any interpreters out there? 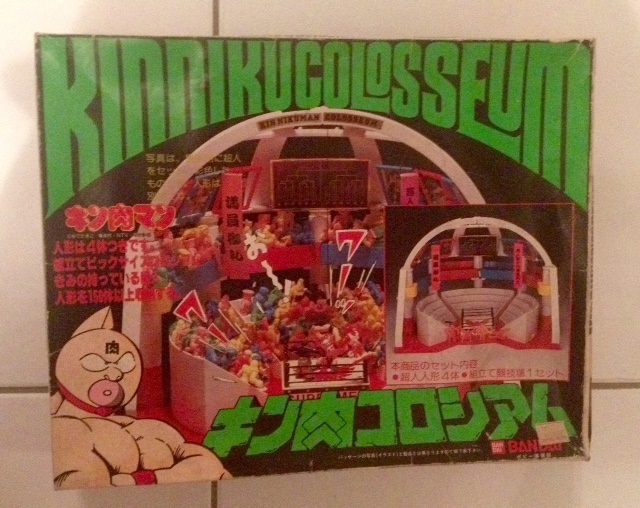 What was even luckier for me was the fact the box also contained an original flyer advertising the Kinniku Colosseum and a number of other Kinnikuman related items available in Japan in 1985. 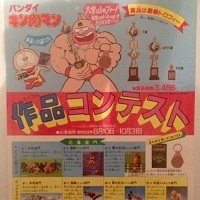 Back then, the Kinniku Colosseum was 3950 Yen which is about $40 according to the flyer. To confirm that pricing, my box also has the original sticker with 3950 Yen on it. 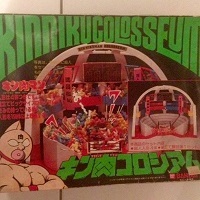 Now, a complete boxed Kinniku Colosseum goes for between $250-300. 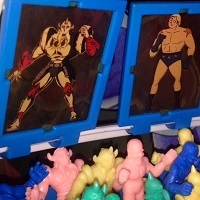 I have kept M.U.S.C.L.E. 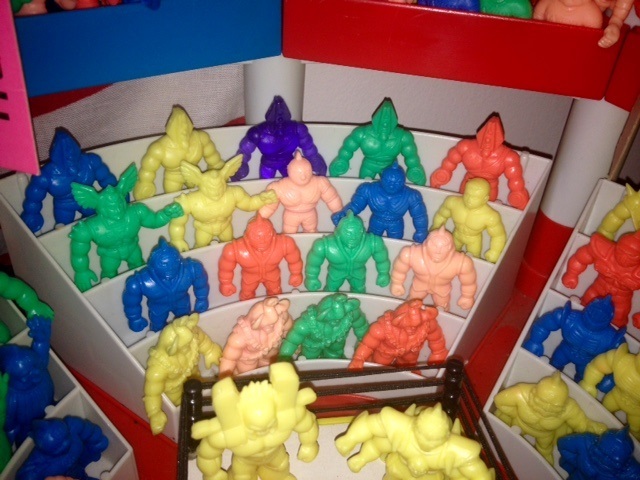 figures in the Colosseum but found the different colors of M.U.S.C.L.E. 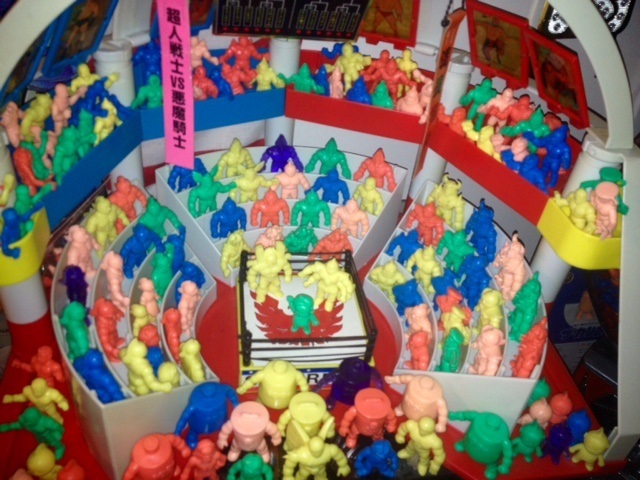 figures looked out of place in the Kinniku Colosseum and so now I keep my 1991 Kinkeshi figures in the Colosseum. 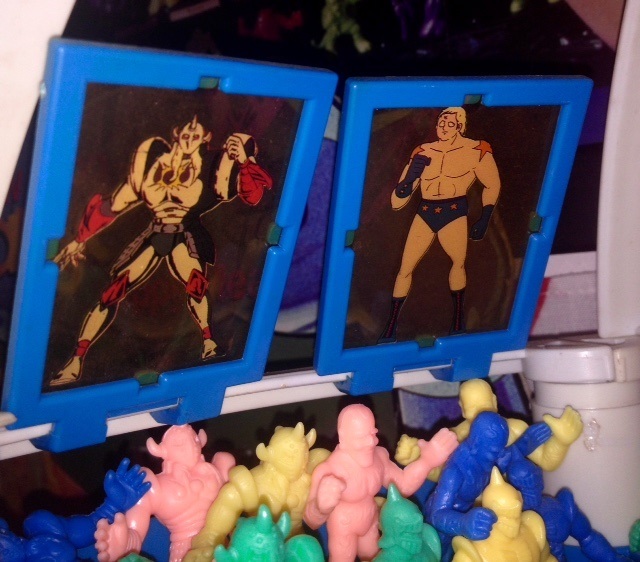 I’m happy with the display and won’t change it now, it’s quite a centerpiece in my collection – if only now I could find somewhere next to it to display the box! This entry was posted on Monday, November 7th, 2016 and is filed under UofM News. You can follow any responses to this entry through RSS 2.0. You can skip to the end and leave a response. Pinging is currently not allowed.